Papillon is the latest design to be introduced to MUSE’s luxe statement belts showcased at the pret a porter week earlier this year. Gold belts have been the go-to accessory for instant glamour and have been seen in collections showcased during the fashion weeks globally. MUSE introduced a select range of accessories at the pret a porter week this year, including clutches, belts and jewelry pieces. 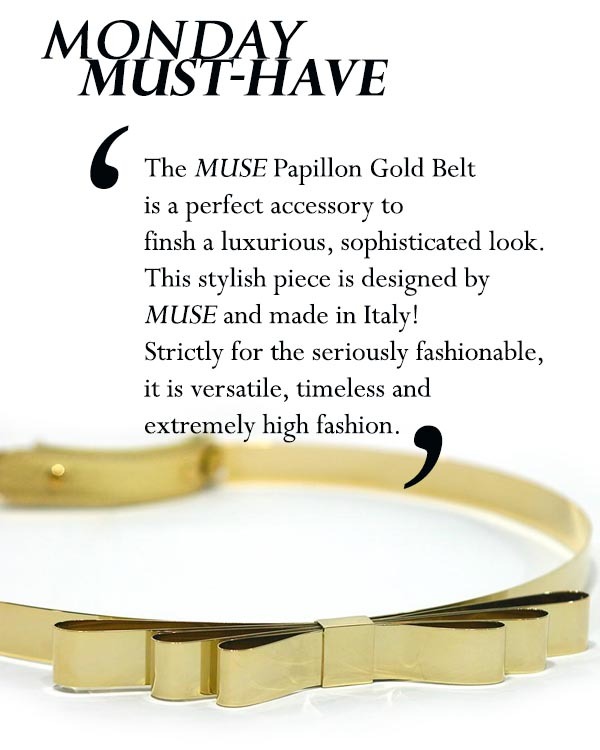 Like all things gorgeous, the price for the Muse Papillon Gold Belt is on request… you can contact the MUSE Management through their facebook page.